Enter Line 1 and Line 2, up to 25 characters, including spaces. PLEASE NOTE: The allowed special characters are , . ! ? : ; + @ # & - [ ] ( ) * $ '. Anything else is not allowed. Choose a design and foil color. 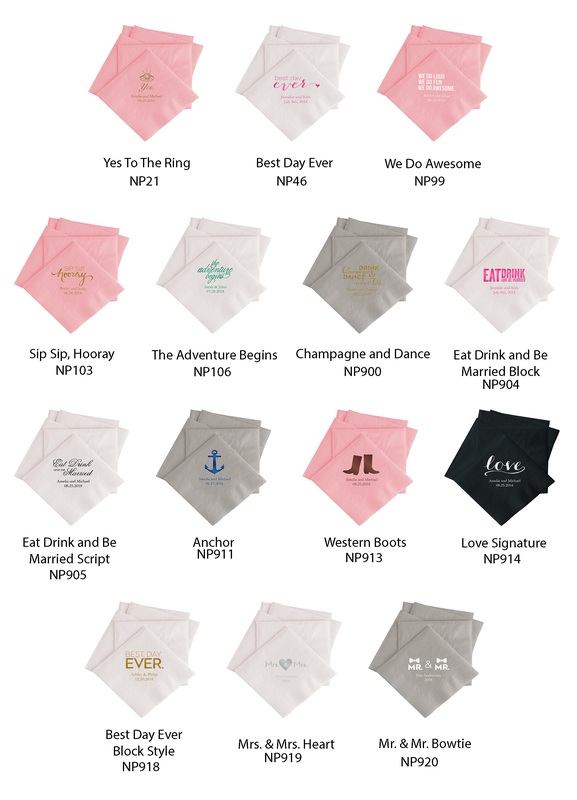 Choose from a variety of colors and designs in this beverage size napkin! Also available in Guest Towel as Style 9877.